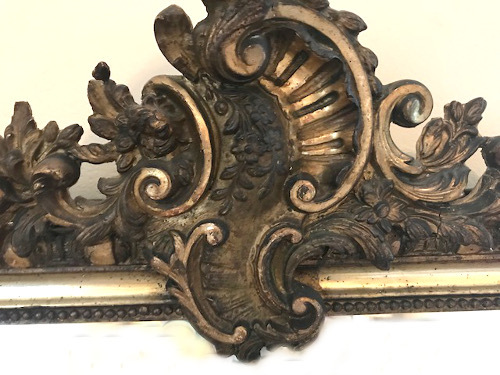 This beautiful French antique rococo style mirror painted and gilded overmantle mirror is in wonderful condition. 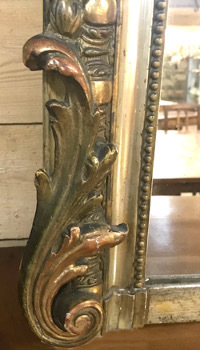 It is has a carved and gilded frame with a decorative crest to the top featuring a shell, scrolls, flowers and leaves. 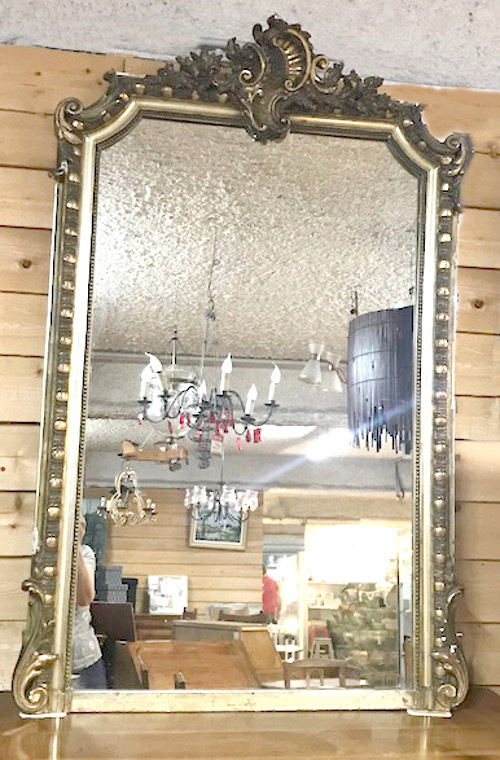 There is beading and further decoration surrounding the original glass mirror the original wooden back. 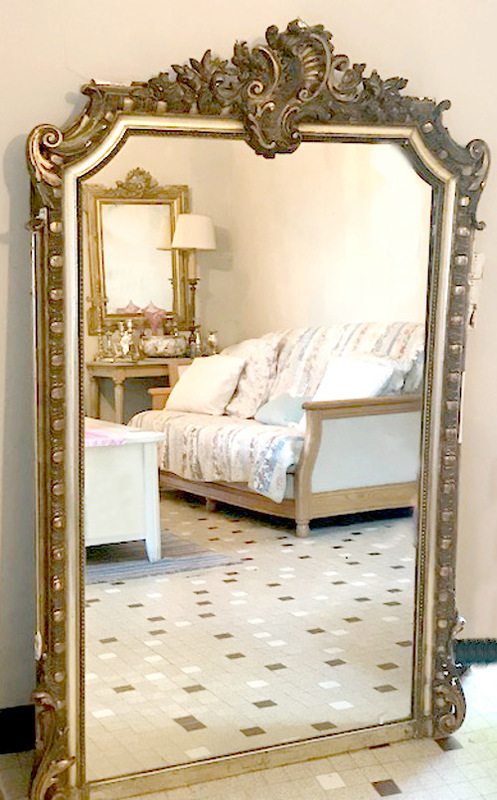 is in very good condition with minor speckles in keeping with its age - c.1900. 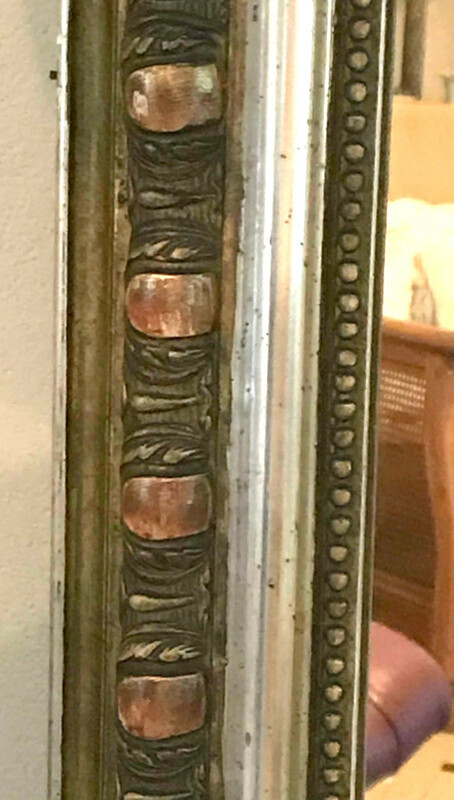 The frame is in very good condition with minor knocks and bumps in keeping with age. Delivery England / Wales mainland £79 or can be collected from our shop in Leek, Staffordshire.